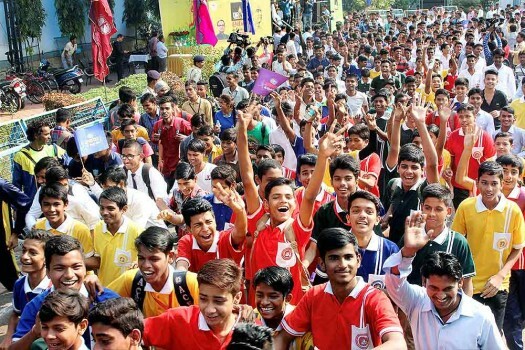 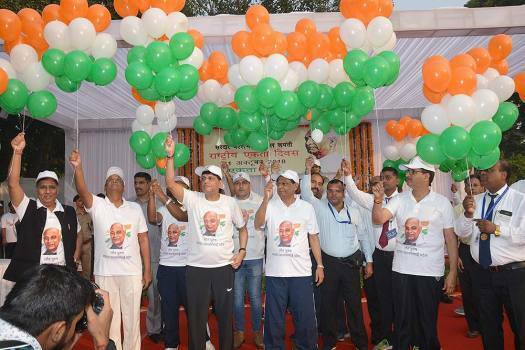 People participate in a 5km 'Run for Unity' organised by Indian jawaans, in Agartala. 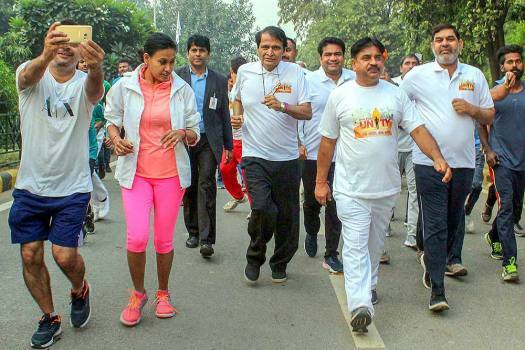 Union Minister for Commerce and Industry Suresh Prabhu takes part in the 'Run For Unity' on the occasion of the 143rd birth anniversary of Sardar Vallabhbhai Patel, in Gurugram. 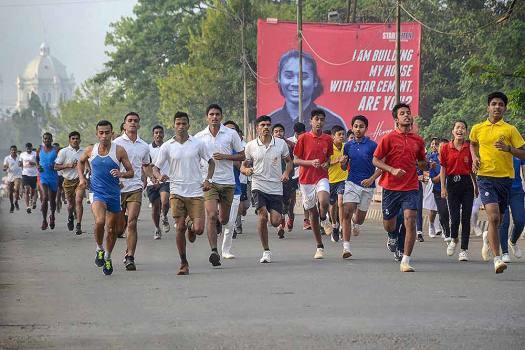 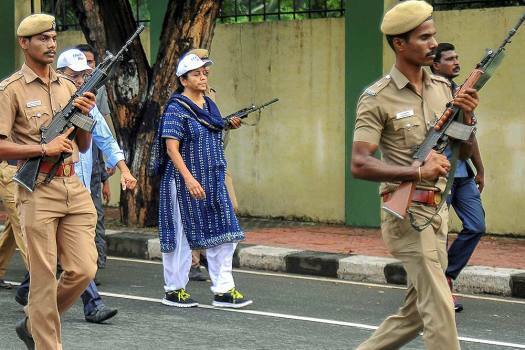 Defence Minister Nirmala Sitharaman takes part in the 'Run for Unity' on the occasion of the 143rd birth anniversary of Sardar Vallabhbhai Patel, in Chennai. 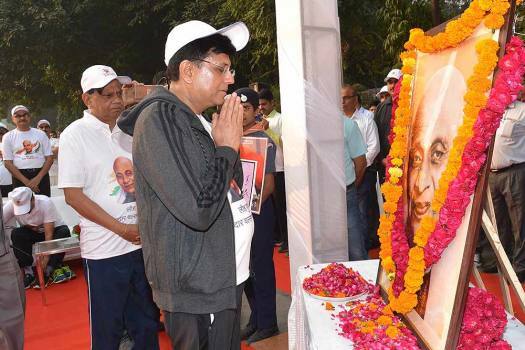 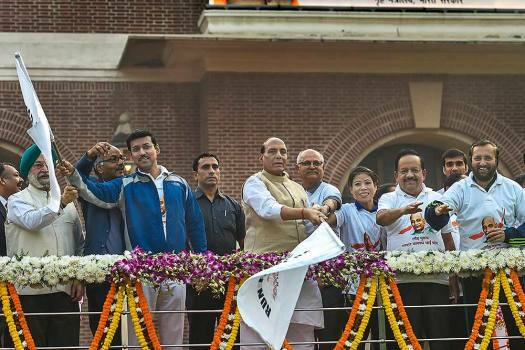 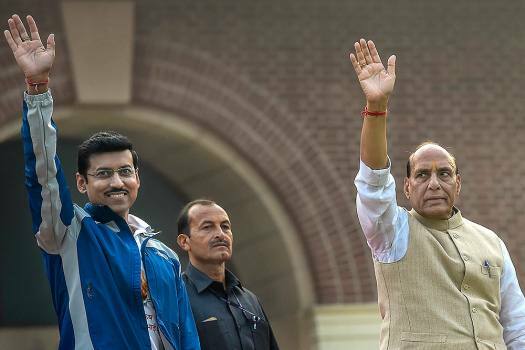 The Union Minister for Railways and Coal Piyush Goyal at the flag-off ceremony of the Run for Unity, on the occasion of the Rashtriya Ekta Diwas, in New Delhi. 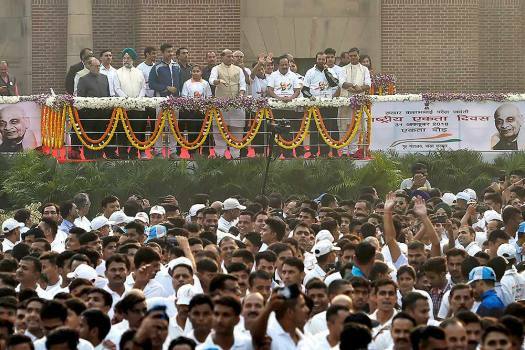 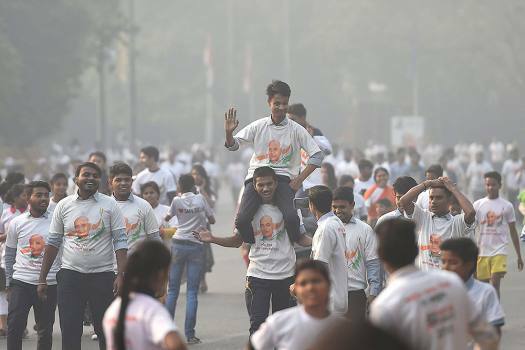 People participate in 'Run for Unity' organised to mark birth anniversary of Sardar Vallabhbhai Patel, in New Delhi. 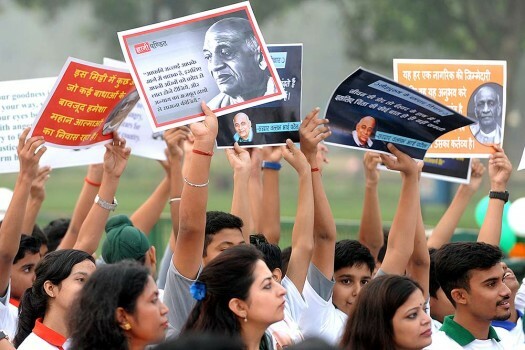 Children participate in 'Run for Unity' organised to mark birth anniversary of Sardar Vallabhbhai Patel in Bhopal. 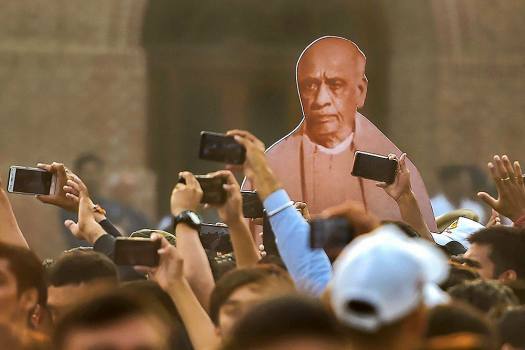 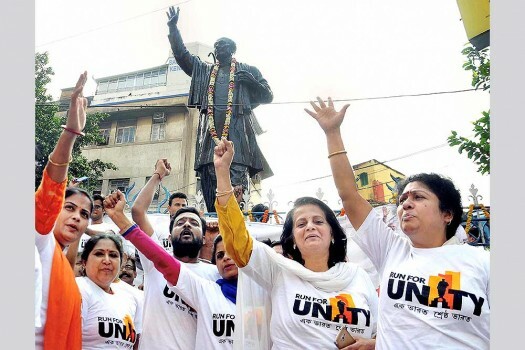 BJP workers shout slogans in front of the statue of Sardar Vallabhbhai Patel as they participate in 'Run for Unity' to observe his birth anniversary in Kolkata. 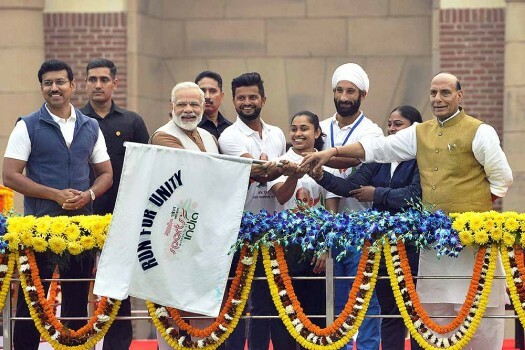 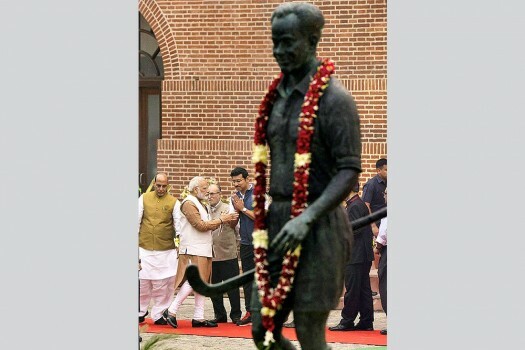 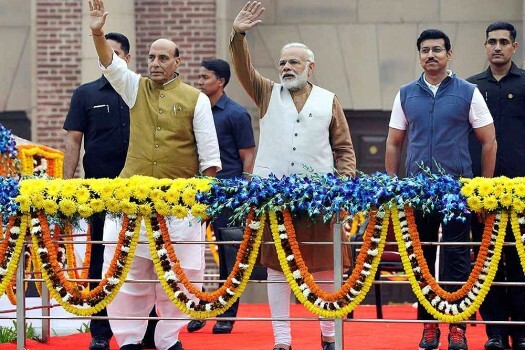 Prime Minister Narendra Modi and Home Minister Rajnath Singh during Rashtriya Ekta Diwas at Major Dhyan Chand National Stadium in New Delhi.